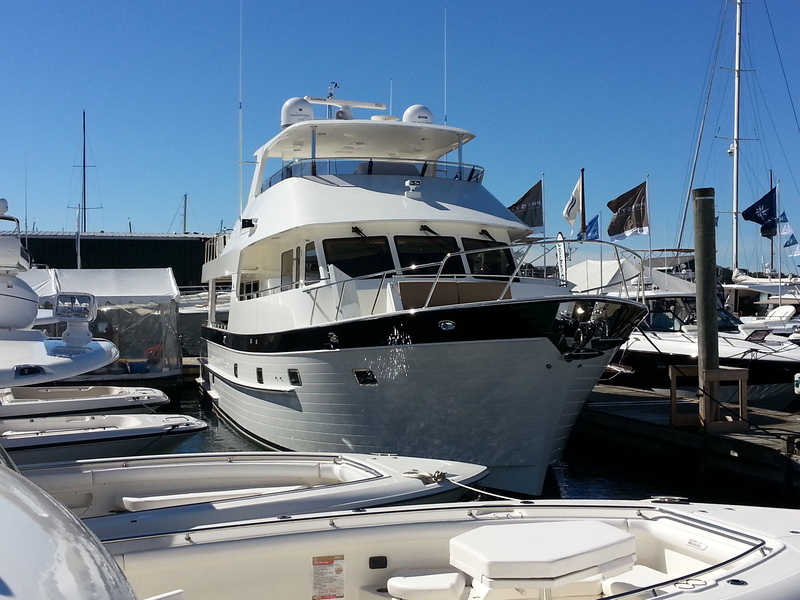 With their finger on the pulse internationally, Outer Reef Yachts attended three boat shows last week, representing their Long Range Motoryacht Classic Series at the Cannes Yachting Festival, Newport International Boat Show, and the Seattle Boats A Float Show, from September 9th through September 14th. 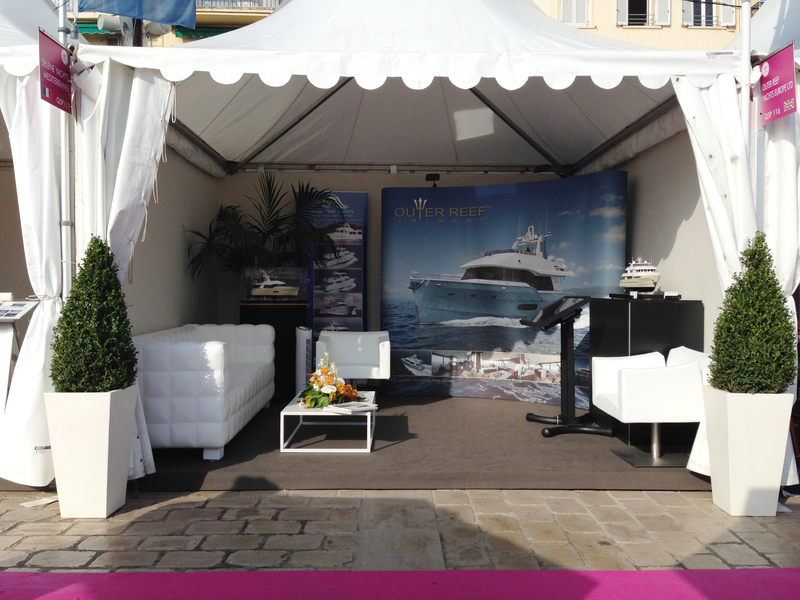 The shows also provided an opportunity for the Outer Reef Team to proudly represent and provide information on the new Trident Series, recently launched in July 2014. Jeff Druek, President and CEO of Outer Reef Yachts, stated, “With a growing Long Range Cruiser product line including the most recent launch of the Outer Reef Trident Series, it is imperative for our management team to continue to engage with our prospects and customers at a localized level, carefully listen to the experiences and feedback shared, and intelligently apply this information to the design and style of our vessels. Our yachts are built to express unique, geographic-enhanced features that meet the needs of yachtsmen spanning the globe. Different cruising grounds and conditions require a keen attention to detail, with differences in such things as crew quarters, storage and helm stations; discussing these items with the boat show visitors helps us roll up our sleeves and create a better cruising experience. This special attention sets us apart from other manufacturers, and we greatly appreciate our current and future clients’ insight, which can be applied to future, cutting-edge projects”. Born from previous boat show discussions, Outer Reef’s new Trident Series emerged from clients’ needs for a trustworthy, seafaring vessel offered in 55’, 65’ and 75’ lengths. To meet this request, the builder selected Setzer Yacht Architects, designers of Outer Reef’s 105-115 foot flagship Explorer series, to develop the new line of vessels. 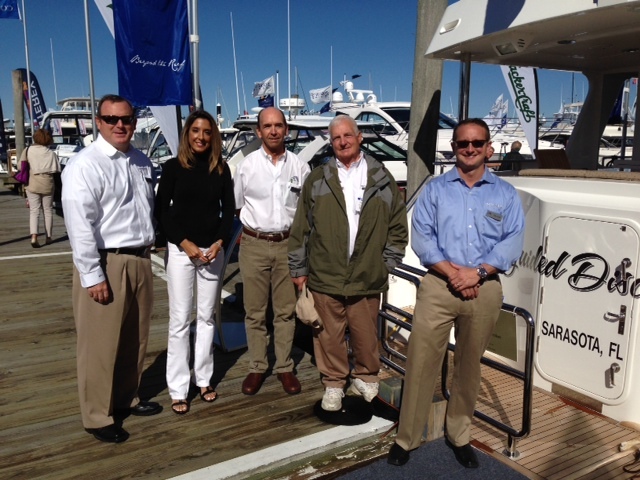 “We share a passion with Outer Reef for oceangoing, blue-water ready hulls,” said Setzer. “Our past work on large, go-anywhere type expedition and explorer vessels gives us a wealth of learning we can draw upon for the Trident project.” The collaboration is thus a natural segue for Outer Reef, as its core mission includes building vessels that avoid compromising robustness in the name of aesthetics or speed. 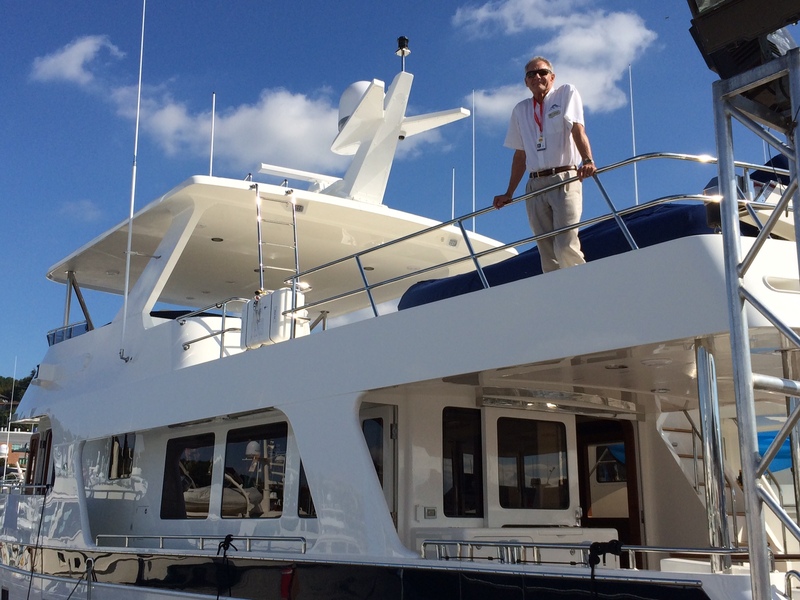 The three mentioned boat shows brought visitors from all over the globe, and presented Outer Reef the opportunity to showcase several yachts including the 63’ LRMY, 70’ LRMY and the latest Trident series information. Visitation to Outer Reef Yachts’ show locations experienced significant growth – a good indication the yachting public is interested in long range cruisers of the highest quality, paired with stellar customer service and competitive pricing, which Outer Reef Yachts is known for.